Home / Uncategories / Online doctor apps are redefining the future of medical industry! Online doctor apps are redefining the future of medical industry! If you’ve been waiting for the impact of medical applications on patients and industry at large, then look again as the future is already here! 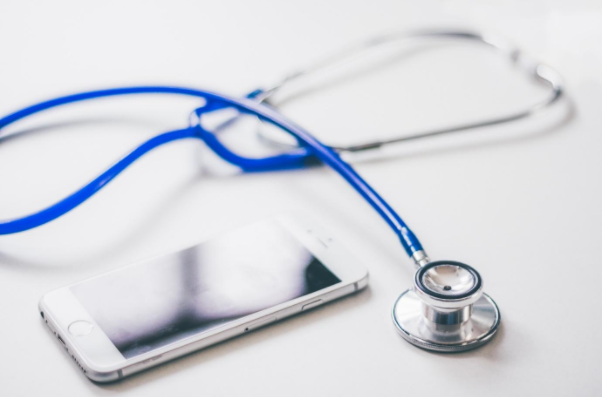 Medical apps have brought a revolution in how patients consulted doctors making it much easier to diagnose and commence treatment for various anomalies. As we speak, an online doctor app is carefully designed to treat either one or perhaps many different diseases. Patients always wanted to gain more control over their medical decisions and thanks to these apps, this is possible and in rather a user-friendly way. People who wish playing a more active role in their personal healthcare or if associated with the industry are benefited most. Let’s have a look at how medical apps are reshaping the industry from its core! Usually, if someone’s experiencing a serious symptom or persisting health anomaly that doesn’t seem to go away, immediate doctor’s appointment is required but, what if the physician isn’t available in the hospital or clinical facility! To overcome such issue, there’s a particular online doctor app that helps patients to connect with the experts in the medical community. It empowers patients to research and find potential causes for their symptoms. Yet another way medical apps help patients is increasing safety and reducing time-taking paperwork. While leaving the clinic or hospital, a patient’s usually carrying a bunch of papers that at time make things complicated and confusing. Medical applications helps in eliminating or least streamline the details that help in fast and speedy recovery. Since an online doctor app manages everything related to the patient’s data, safety and recovery, only important documents require physical handling. Indeed, a visit to the doctor is heavier on the pocket concerning the fee, payment for the medicines, the expense of travelling to the clinical facility and more. Thanks to the apps, much of this has changed as apps allow a patient to consult his very own physician via digital platform which is rather cheaper than paying a visit. A report concluded that average cost of a patient staying in the hospital for a single night is approximately $4,300. While an app can’t help if the condition’s dire, preliminary diagnosis may at least prevent things from getting worse and one might just undergo timely treatment without eve r going to the hospital. The savings as compared to that $4,300 per annum would be quite substantial. The overall benefits and rise of medical apps give patients more control on their health alongside significant cost savings. Nowadays, there’re more than 100,000 health and fitness apps for both Android and iOS platform ready to download and connect anytime, anywhere. People around the world are more health conscious that further accelerate the competition and rise of medical app industry. Another survey concluded that more or less 42-percent doctors are in favour of medical applications and the number is rising which is rather encouraging. Reality check; this mightn’t be the wisest move for doctors since number of patients that actually visit the clinical facility would further decline, the rise of digital industry promises more benefits than meets the eye. It’s clear that a particular online doctor app has the potential to bring an optimistic change in the entire medical industry; developments are likely to revolutionise the industry from its core.